Despite all the hype and enthusiasm surrounding social media, only a quarter of B2B companies have a strategy in place to utilise the various tools and techniques – according to B2B Marketing’s Social Media Benchmarking Report. 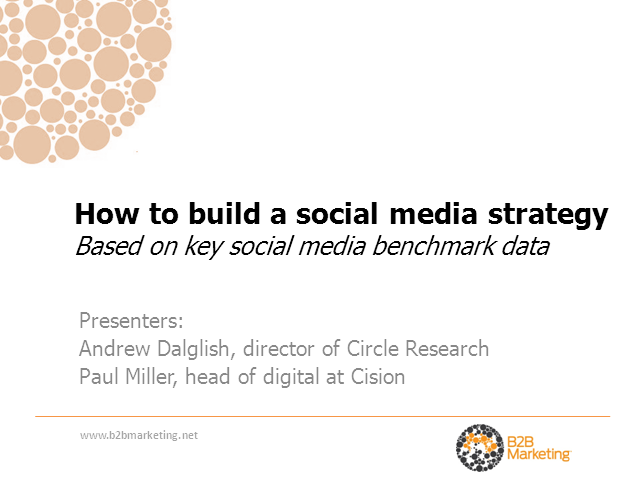 This two-part webinar examines the findings of this exclusive report in more detail, examining key trends and challenges and then goes on to provide practical tips for the development of a B2B social media strategy. It will conclude with a Q&A discussion focusing on some of the issues raised.